Back in the winter of 2010 the UK found itself under attack from the Scandinavians. They arrived in their thousands and took up residence in every industrial estate and supermarket car park from the Shetlands right down to our southern coasts. With much of the population focussed on forthcoming festivities the defence of this green and pleasant land fell to the nations birders. Up and down the country small gatherings could be found huddled on street corners while individuals staked out their closest branch of Tesco. I personally found myself in Leeds which, along with some of the least desirable areas of Bradford, made up my own little piece of this war. As the days passed social networks were filled with reports and photographs of those who had been successful. For each hero though came the sorry tale of frozen fingers and empty memory cards. I am not afraid to say that I was one of the latter. With the arrival of spring the intruding forces beat a hasty retreat, leaving birders everywhere to reminisce and gloat over their spoils of war. A brief resurgence in 2011 barely registered this far west and I was resigned to my fate in the shadow of those more celebrated. That was of course until now. Once more we find ourselves under attack. What started off with a force of over one thousand on the Isle of Skye soon turned into a countrywide invasion. Our nearest reported sightings were in Llanelli but they'd moved on before we got there. Not wanting to miss out on the action a third year running we instead headed east to Cardiff, where finally I got to meet our aggressors face to face. 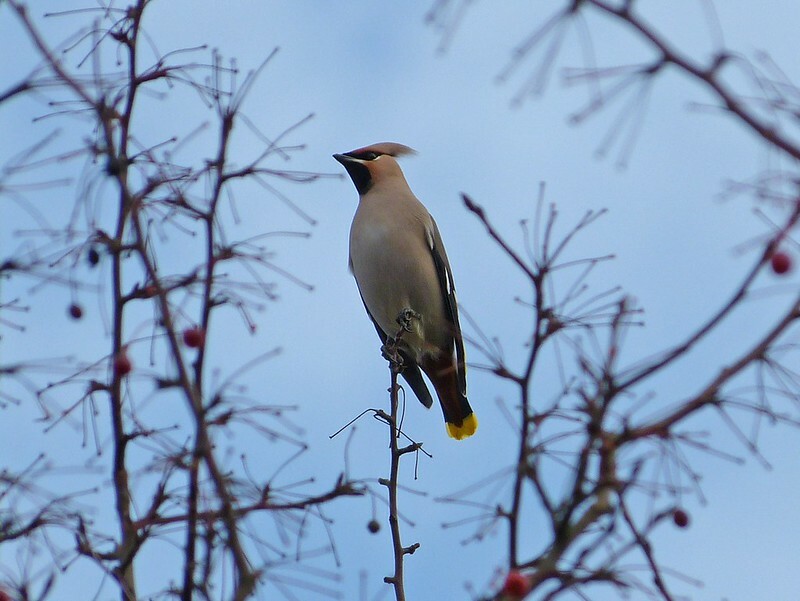 I speak of course of Waxwings, easily the most spectacular bird to grace these shores and a species that is high on every birders wish list. What other bird is able to pair the quiff of the century with splashes of brilliant colour in such a pleasing fashion? 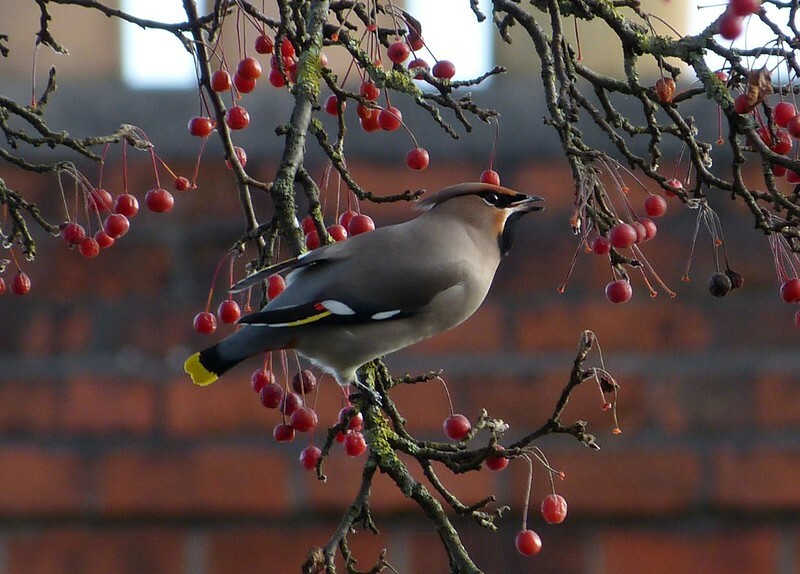 The individual above was just one of at least 100 Waxwings feeding on berries along Bangor Street in Cardiff. They were pretty flighty and frequently alternated between there and the next street over. Despite that we got some outstanding views and even a few photographs. 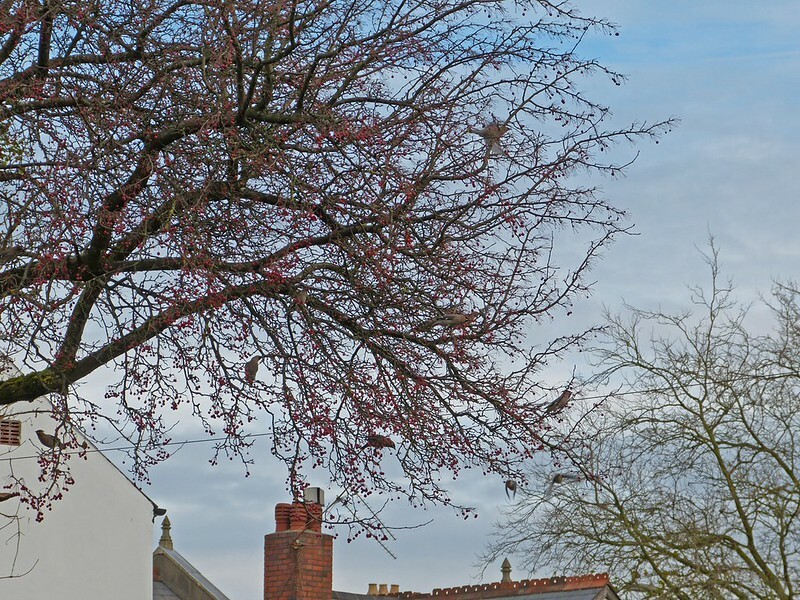 As light levels dropped ever lower we were joined by a Mistle Thrush who briefly tried to assert authority over one of the berry-bearing trees. 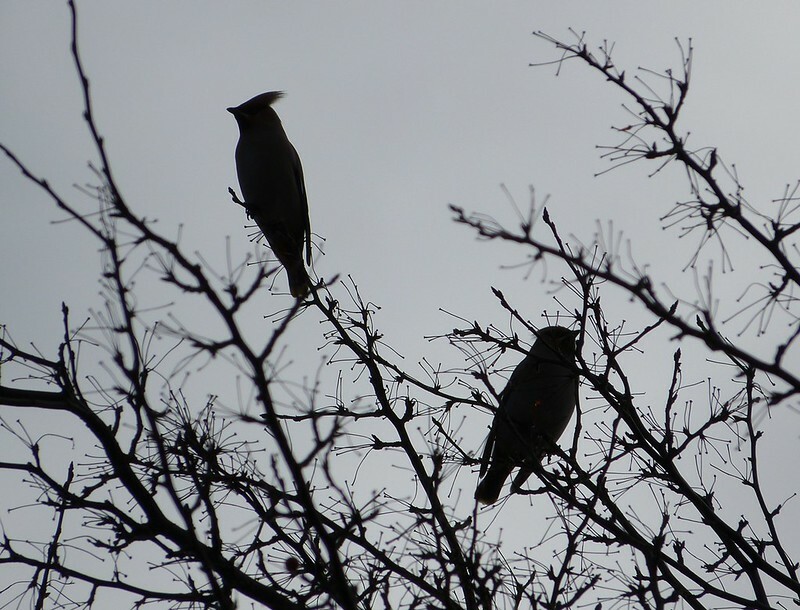 It was quickly dispatched by several Starlings, swiftly followed by even more Waxwings. At times they were showing down to a couple of metres but all I was able to get were silhouettes. 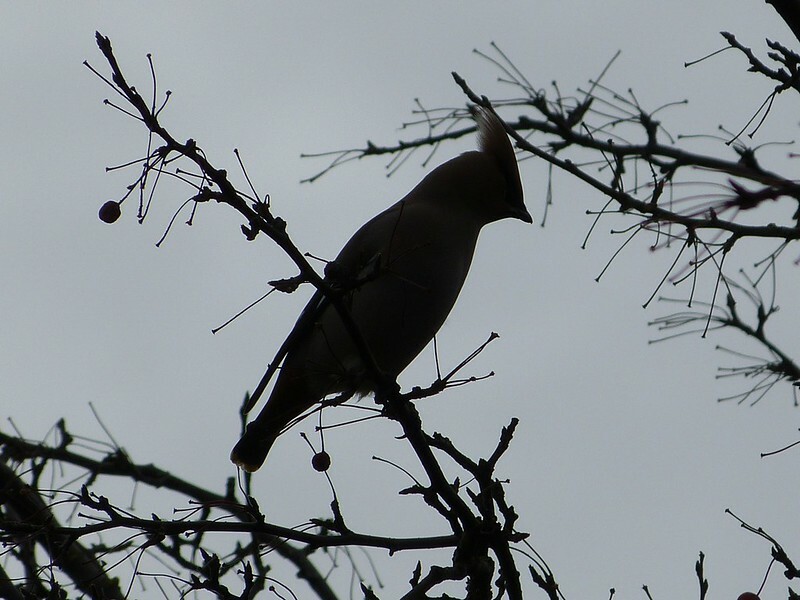 Fortunately for me they have one of the most recognisable shapes in the birding world. So there we have it. 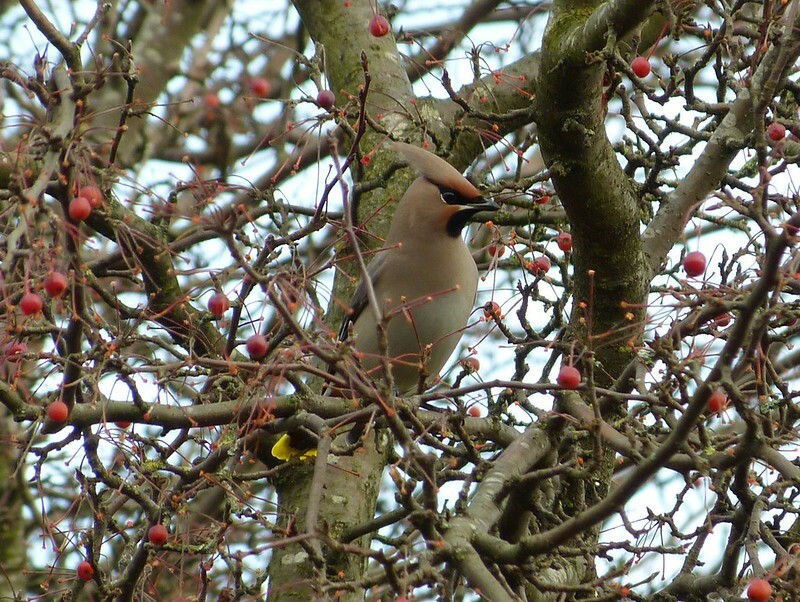 I've finally left the "not seen a Waxwing club" and have to say I'm pretty chuffed. Definitely a decent way to spend to spend a Sunday afternoon. Congratulations! Aren't they lovely? I saw them today too, on the other side of the UK. Beautiful photos you've taken too. 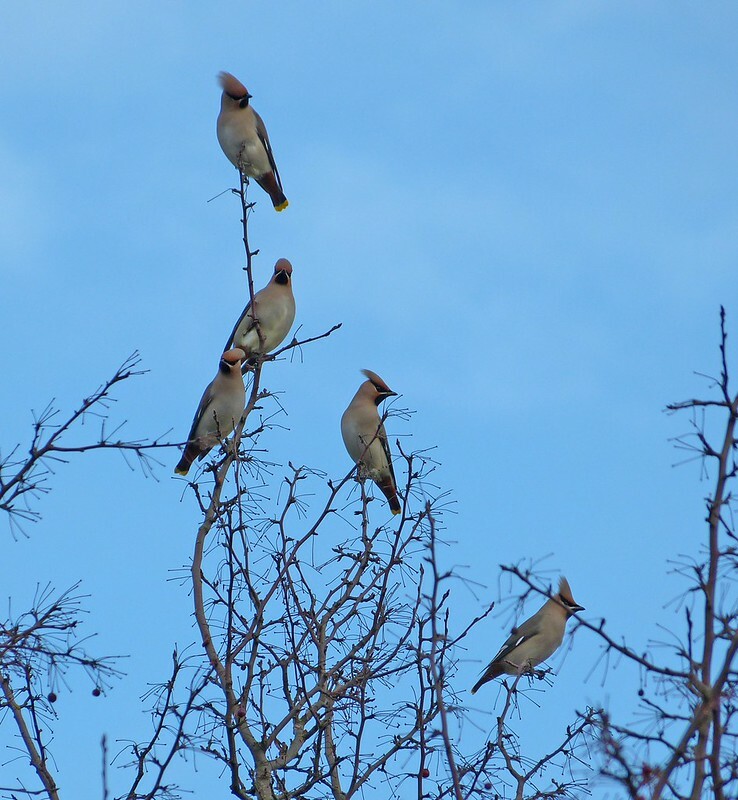 hooray for the waxwing invasion! If there is one bird guaranteed to cause excitement amongst birders, it's these beauties. Cracking set of shots Adam; and congratulations on catching up with them. Nicely written, and some pretty good shots. Hoping to catch up with them myself this week. 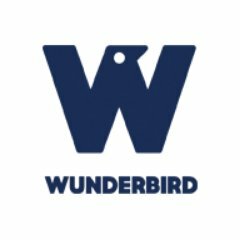 Beautiful birds, a great series. SO glad you caught up with them...Excellent Captures!!! That type invasion one waits for!! Thanks all for your comments. These are probably my favourite birds of the year.